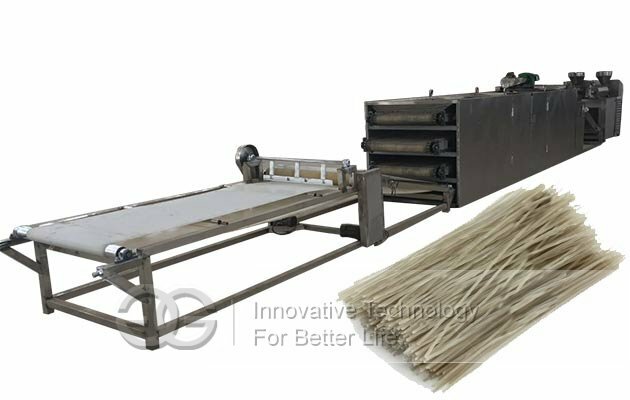 Multi-functional starch noodles making machine can produce vermicelli, wide flat vermicelli, thin potato starch noodle, etc,with capacity 200-1500kg per hour. 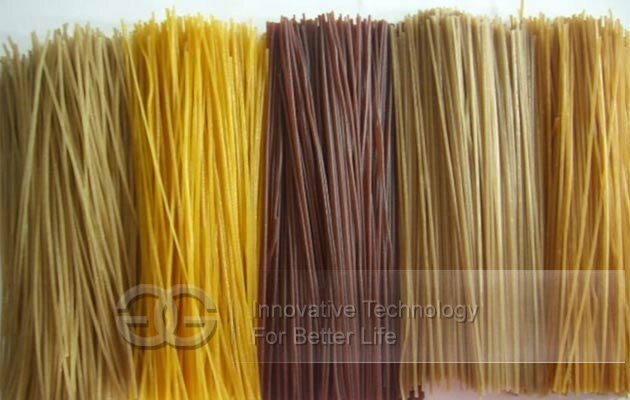 Multi-functional starch noodles making machine can produce vermicelli, wide flat vermicelli, thin potato starch noodle, etc. 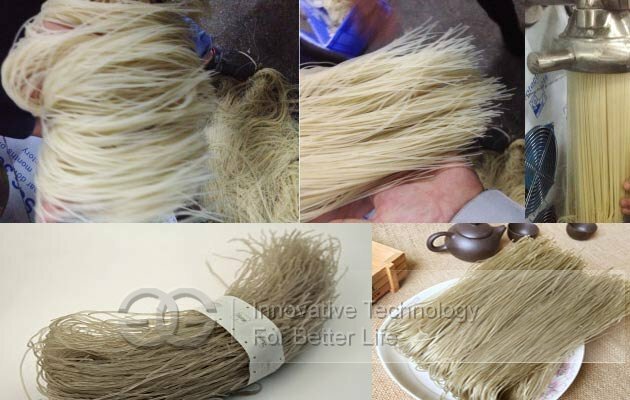 The materials of starch noodles can be pure corn starch, potato starch, sweet potato starch, broad bean starch, mung bean starch and pea starch, rice starch or all kinds of starch. 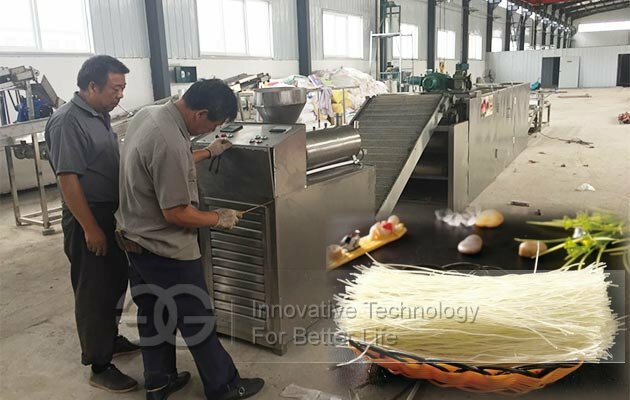 How it works: One or more starch noodles making machine work together, using a transmission line for the cooling conveyor, automatic starch noodle cutting, automatic or artificial putting-up rod, by a shopping cart sent into the refrigeration storage. 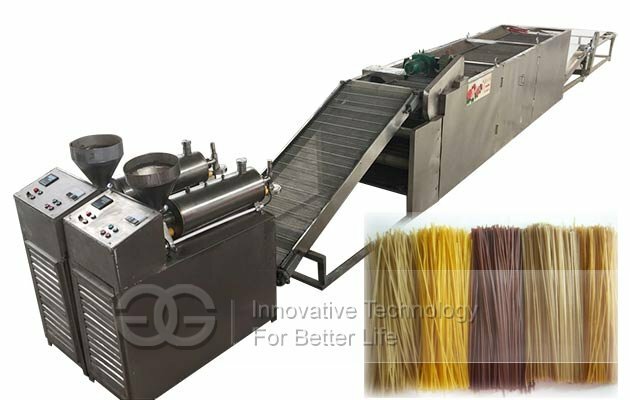 Change the original single machine working into of two or more vermicelli machine forming a production line for production. Two to three workers can operate properly, can produce 400 kg to 1500 kg per hour (The production capacity is subject to production of numbers of machines, one machine can produce 200 kilograms per hour) and potato starch noodles after a long time cooling, can reduce the freezing time, more conducive to vermicelli evacuation, which fully improve the working efficiency, reduce the labor intensity, saving manpower, reducing the production cost. 1. The finished product include 2 size moulds, mould hole size can be customized.Stainless steel material.Easy to operate and clean. 2. The price include 380v, 50Hz motor.